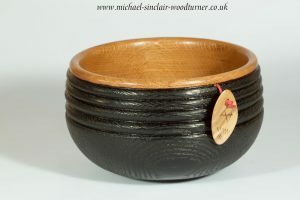 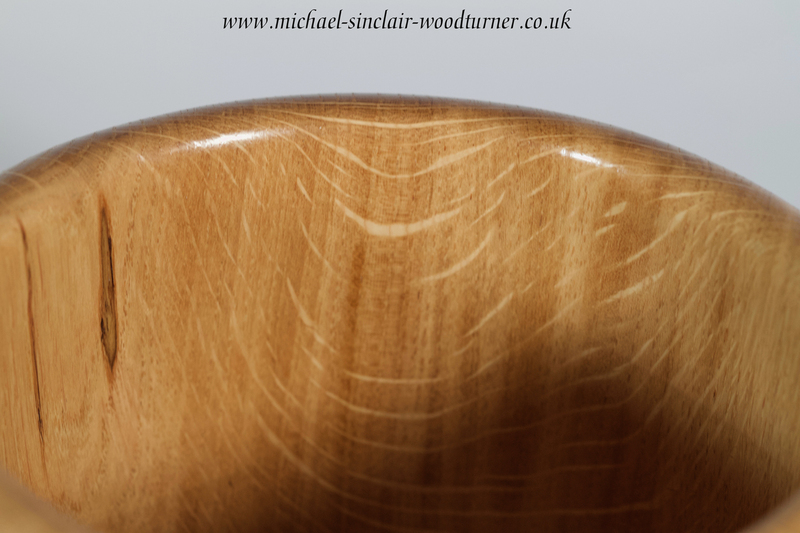 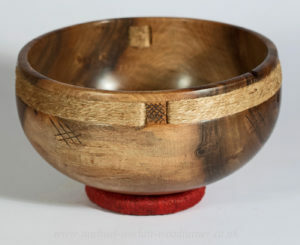 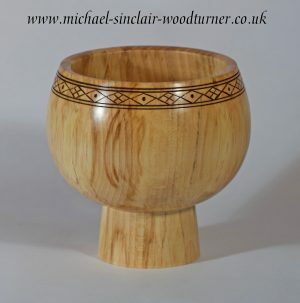 A little wooden bowl turned from an oak tree sourced in the north of Scotland. 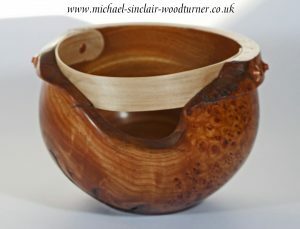 This piece has hand carved feet which are created from the blank while being turned. 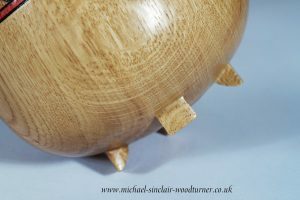 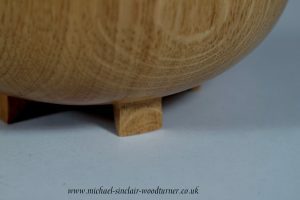 Michael leaves a band round the base of the bowl and then carves areas away to leave the little feet. 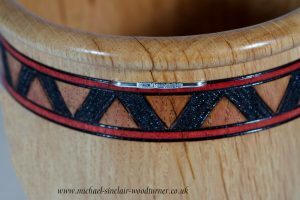 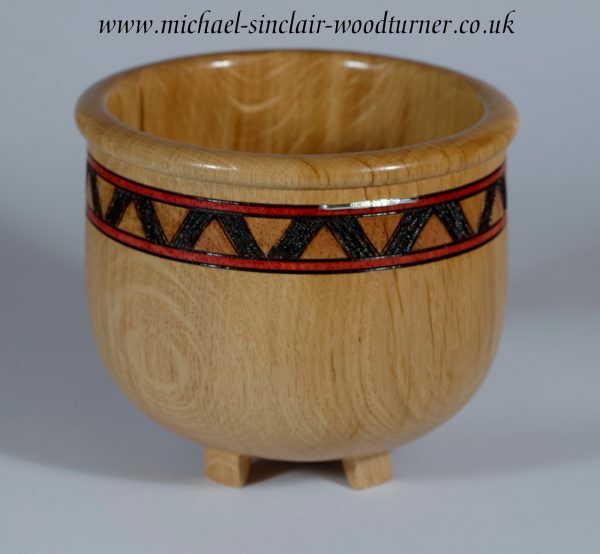 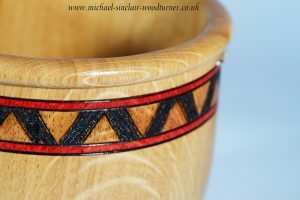 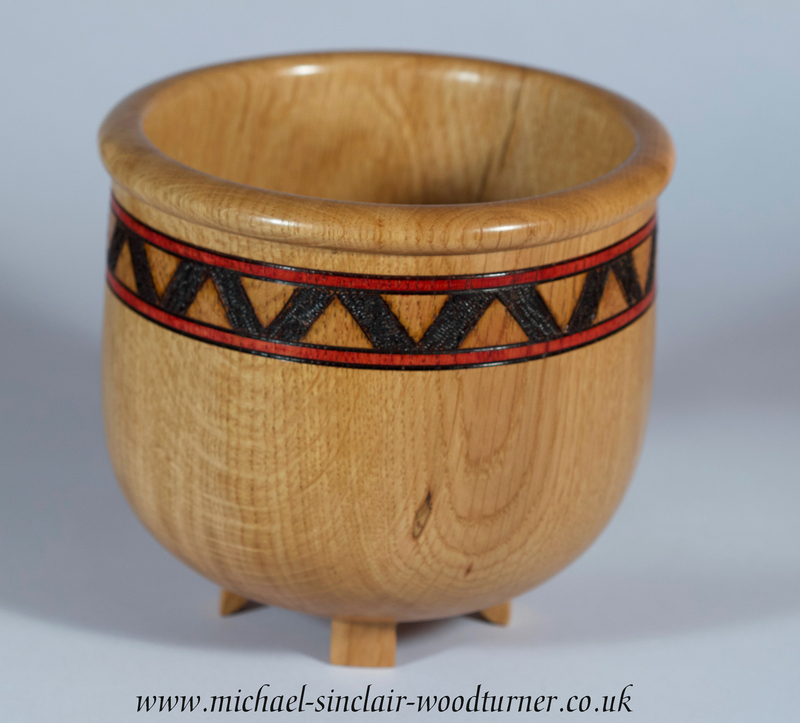 A rolled rim is then enhanced by a band of pyrography with both red and yellow stain. The finishing detail is done using silver which is hallmarked in Edinburgh and stamped with our makers mark. Michael then adds this to the piece as a decorative staple. 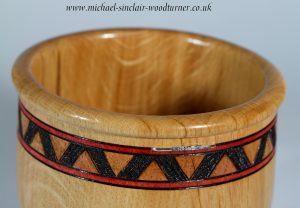 Finished with several coats of oil and buffed. 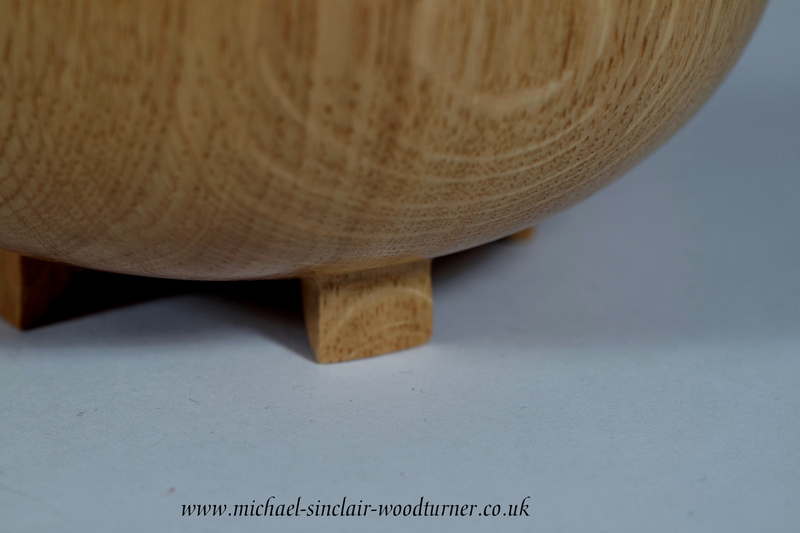 120mm h x 140mm∅.